Hey Guys, in this tutorial I am going to tell you about how can you easily download WhatsApp stories on your Android device. If you are looking for a way to download/save WhatsApp stories on your phone's storage like gallery, then you are at right place. Do you want to download WhatsApp stories of other people of Images and videos on your phone? But there is no story download option available in WhatsApp. So you have to use one third-party app called Save Stories for WhatsApp. 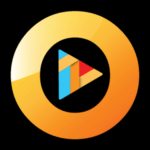 This is a very cool app which anyone can use on their Android device for saving WhatsApp Stories. Saving WhatsApp Stories is easy now. With the help of one simple app, you can do this now. WhatsApp is one of the most popular social networking apps which can be used on Android devices. 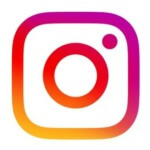 If you use other apps like Snapchat, Instagram, etc, hen you must be already aware of this Stories feature. You can easily download WhatsApp stories, share with your friends with the simple app. So if you got some good story image or video in your WhatsApp, then never miss it. Just download that story on your phone with simple clicks. 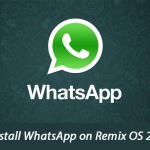 Must See – WhatsApp Plus APK Download for Android. Want to know about steps? 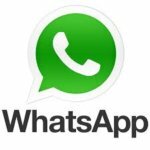 We will Guide you about how can you use this app to save WhatsApp stories from your phone. This app is very easy to use. However, you can also check easy steps now which are mentioned in this post from below. 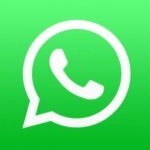 Recommended – Set WhatsApp DP Without Crop. Then simply open this app, you will be able to view all of your WhatsApp Stories which you view on WhatsApp. If you don't see any story then view the story via WhatsApp, let the image completely load then reopen this app. Then click on the Story, which you want to download via this app. Then click on Download button from the bottom. The image will be saved on your phone. If you want to download multiple stories at once, then you can do that too. Simply long press on any of the story then click save button from top right corner. Then Goto Downloads tab, view the story, share it or delete it if you like :). So now, you can access your saved stories from your phone's gallery. You can also access saved stories via file manager. Just Goto your File Manager -> Internal memory -> StorySaver-MissingTricks folder. So this way, you can download any of the WhatsApp stories from your contact, then manager the image to wherever you like. 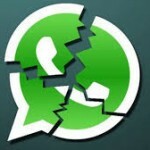 This app is not supported by third-party WhatsApp mods like GBWhatsApp. So Guys, this was the easiest way ever which could be used for Download WhatsApp stories on Android devices. This app is working perfectly now, and I hope it keeps working in future too. If this method is not working for you, then simply let us know via comments below. If you have any more questions or suggestions regarding this post, then let me know via comments below. Thanks for visiting this blog and stay tuned for more cool tips & Tricks like these.